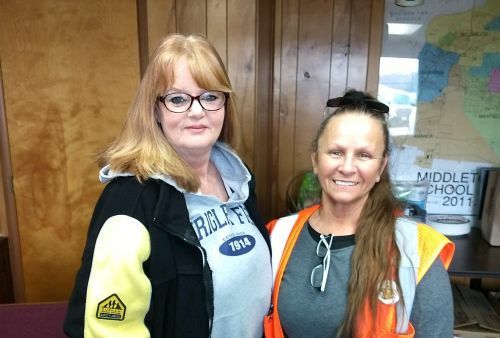 Petermann school bus driver Shari Brate and monitor Ronda Smith are truly a dynamic duo, and an act of heroism has earned them the company’s highest honor—a Values Award. A Values Award is presented to outstanding team members each year by Petermann’s parent company, National Express LLC (NELLC). Brate and Smith received Petermann Bus’s Community Value award for saving a young boy’s life on a bitter cold December day. Their award-winning act of care and kindness certainly warrants recognition. While setting out on their route, Brate and Smith saw a five-year-old child wandering around in only pajamas and a light jacket. Although this was not one of their students, this was a child of their community, and they knew they had to help. They brought the child onto the warm bus, and he was so cold that he could not speak clearly for several minutes. He was lost, confused, frightened and in danger of hypothermia. As they wrapped him in their coats, Brate and Smith waited for police to arrive. The police shared that, without the team’s help, the child could have succumbed to the cold, and that Brate and Smith saved this young boy’s life. 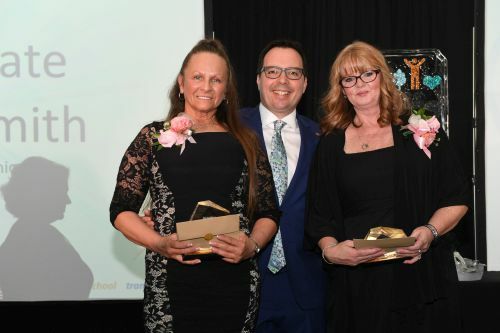 Brate and Smith’s act of heroism have put them in an elite group—they are two of 14 individuals and teams among NELLC’s 27,000 team members and 280 service centers across North America to be recognized for demonstrating the company’s values. They have been invited to attend the international awards ceremony hosted by National Express in London this May. NELLC recognizes employees annually who best demonstrate the company’s core values: Safety, Customer, People, Community and Excellence.